This summer arrived pretty slowly and disappeared pretty quickly. Last summer, I travelled around cuba, mexico, belize and guatemala with my oldest friend, which, as you can imagine, took quite some planning. But this year, I allowed the summer to unfold naturally, making no plans whatsoever, apart from to go with the flow (said the free-spirit traveller in me). This worked out well for me, because running my own business causes me enough stress as it is, and I didn't want the pressure of making summer plans to add to this. I love going with the flow. It is so much more fun to see what experiences and oppertunities unfold. I truly, truly believe that over-planning kills magic, and that to a certain extent, the universe has its plans for you. And luckily for me, this summer the Universe made plans for me on the Croatian island of Obonjan. So I abided. 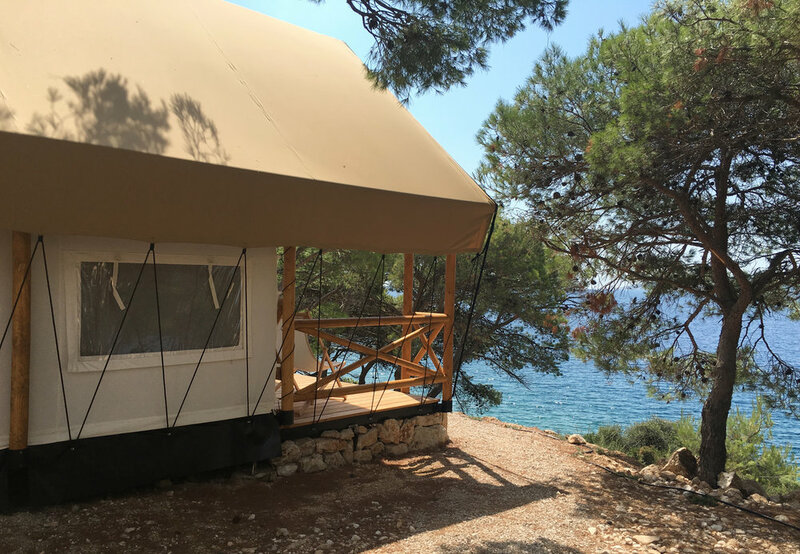 I arrived on Obonjan island towards the end of the season (Aug - Sept), having been asked to develop an island flavour of Qnola to help the visitors and guests to Wake Up Well throughout the season. Qnola Obonjan involed a base of vanilla and maca infused organic quinoa, mildly sweetened with coconut palm sugar and enhanced with dried lavender - a native herb of Croatia and a healing addition to support the body and sooth the mind. I also contributed to the schedule and hosted some Mindful Morning events throughout my time there. 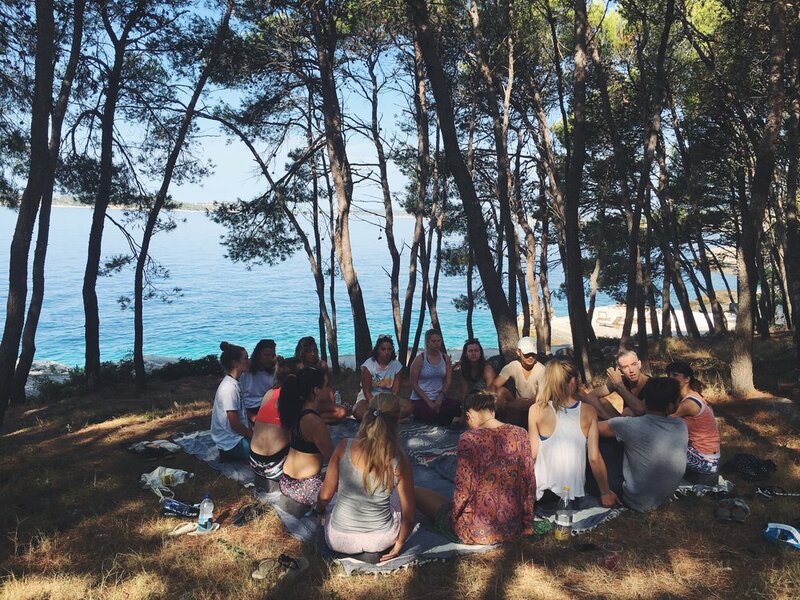 We held our first gathering in the woods with Pip Roberts, where we led our guests through a centring meditation exercise, before sharing our morning regimes, techniques and other offerings specific to waking up well away from home. The entire circle opened up and we connected and learned from each other as everyone offered an insight to their own rituals. For the rest of our time on obonjan, we genuinely just. relaxed. The qnola was already produced and sitting happy in the shop, so after ensuring that each morning was mindful, we spent the rest of our days sunbathing, eating fresh, hand made food and stargazing to our hearts content. From split or zadar, you take a water taxi or a shuttle boat from sibinek (check out SHE whilst you’re there), and as you pull up to the island you are greeted by serene looking wicker umbrellas, lined up as if they’ve been waiting just for your arrival. As the island is only newly inhabited, it hasn’t been built up too much, so the umbrellas stand almost alone, decorating the check-in area and an ocean-facing bar and shading prime sunbathing spots in the form of rock faces and decking. 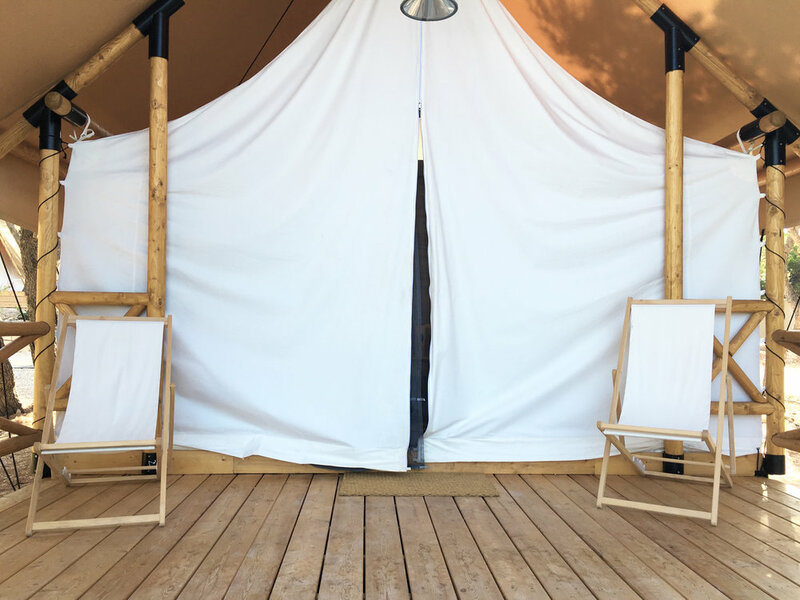 After check in and leaving your bags for someone else to deal with, you wander through the island into calm, cool woodland; home to 2-man tents and 4-man tipi-style lodges (complete with a private bathroom and a balcony - in our case, overlooking the ocean). The accommodation is idyllic. It’s quiet and away from most of the motion, its spacious and its impeccably clean. Adventuring further into the island, you come across the huge pool (filled freshly each morning with ocean water), multiple beaches, artistic music stages and dreamy dirt track dance floors and a selection of unique eateries. 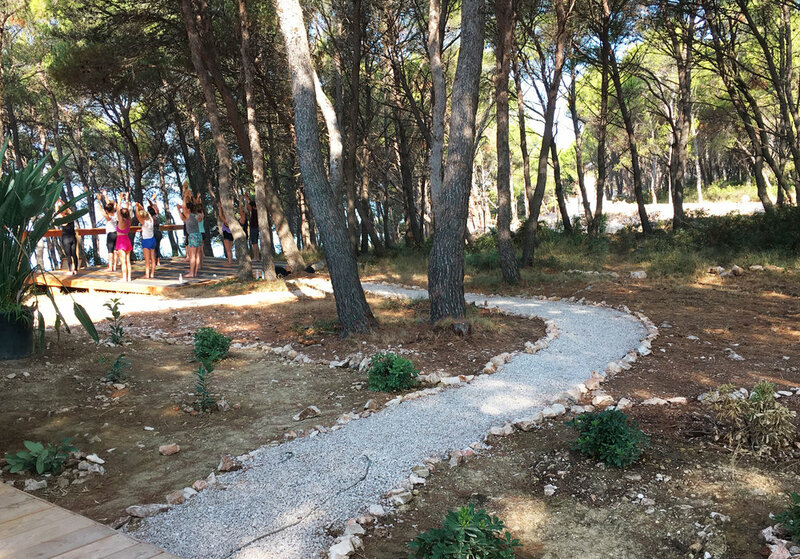 During the day - for those rested enough to wake up - the schedule offers meditation, yoga classes, creative and spiritual workshops and the opportunity to book a slot with the islands masseuses, reiki experts, and more. Yoga and meditation is held in different places most days, dependant on the weather and amount of people attending. From the bark of the woodland, to stone semi circles, each place is unique and special in its own way, and each is, of course, quiet and calm. We enjoyed sunrise yoga overlooking the ocean most mornings, soothed by the sounds and the rhythm of the waves, and welcoming the occasional splash. 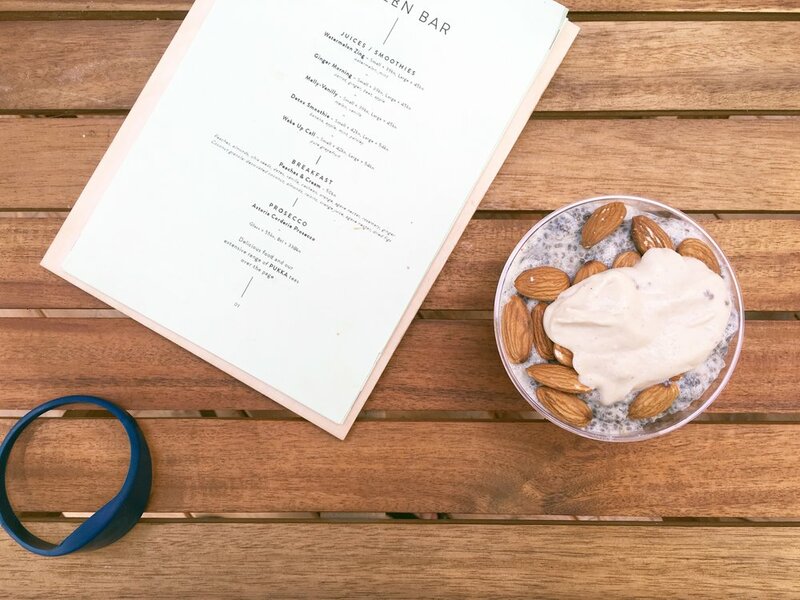 The Green Bar is the perfect place to refresh after a class or just a heavy night (serving fresh smoothies, chia seed pudding, herbal teas, avocado toast and salads), and then, there’s little more to do than eat, drink and sunbathe - oh shame. Dj’s are on a chilled vibe most of the day, providing the perfect soundtrack to whatever you have the energy to do. If you don’t like chilling, this place is not for you, and i also think you are weird, but that’s ok/just my opinion. Later on, the music transitions accordingly and live acts come into play on a few of the main bars and scenic stages. Sunset yoga is a must, even if you dont do or like yoga, go and watch those who stand silhouetted in warrior 1 and the sun paints the sky (and the sea) pinks, oranges and purples. Late Lunch at Bok, dinner at The Kitchen or a pizza from Pavillion Pizza are options if you don’t fancy a floor feast in your tent, and some of the islands cocktail specialities (from Drift, The Pool Bar or Forest Bar) wash all of the above down nicely. Before, after or during the music - depending on your vibe - its nice to take a stroll to the edge of the island to find astrologers with their telescopes, eager to share their knowledge of the constellations, and stun you with a close up of the Moon and nearby planets. The food on the island is amazing. It's good quality, locally sourced and fresh. So local, in fact, that if the boats can't get out or the rish can't be caught, you will experience shortages. The island has a few stores, including the SLC concept store (selling summerwear, souvenirs and spiritual offerings) and a small grocery store (selling local necessities, picnic essentials and, ofc, Qnola). There are fridges in the accomodation, so I'd recommend bringing a few things in from the boat port if you're prone to getting hangry. Obonjan is a magical place. The island, until now, has been completely uninhabited and untouched. As soon as you arrive on the island, your mind slows down and your mood adapts to the serene surroundings and the other islanders. The energy on the island is so balanced and everyone connects somehow - if not at sunrise yoga then most probably later on at the Forest Bar. The island is small, and there is not a lot to do other than stretch, meditate and just be. But in a place where everyone else is just being, it makes the concept of checking emails or even opening your laptop totally bizzare. 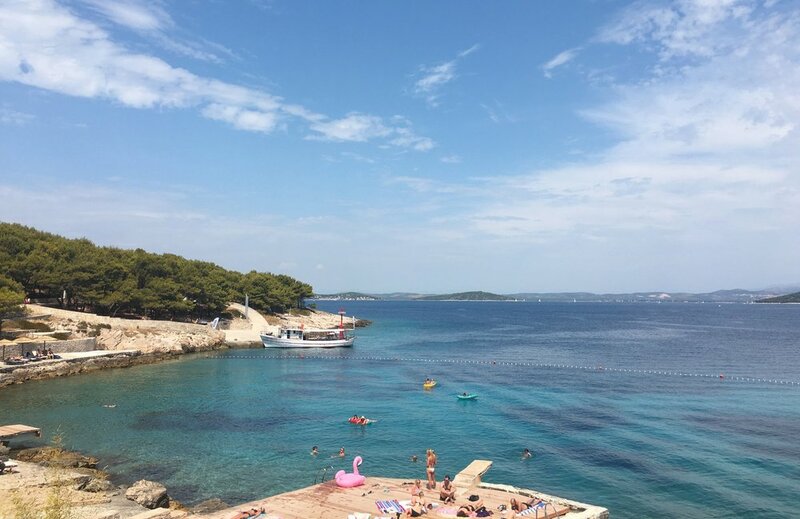 Obonjan is all about letting go and exploring the other special people sharing the island with you at the time. Despite live music, buzzing bars and quite possible a few hangovers, it's not really a festival at all.